Johan Hammarlund is Collaborative Foresight Advisor at Kairos Future, a leading Swedish consultancy that assists companies, organizations and leaders to understand and shape their futures. 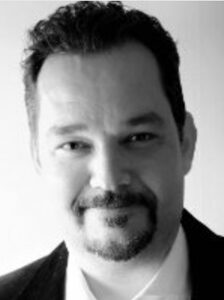 Johan has more than 15 years of experience from MI/CI-work as analyst, advisor, workshop facilitator and teacher. What new methods for competitive and market intelligence are already being used by our peers and leading players in other industries? What can we learn from these examples and how can new methods power the intelligence work in our own organizations? During this roundtable we will discuss how unconventional methods such as advanced social media monitoring, AI-supported analysis and crowd intelligence can make our work both more efficient and more in-depth. Also, how can we avoid pitfalls such as context collapse and different types of bias when working with new digital methods?